The Tokyo Philharmonic Orchestra (located in Shinjuku, Tokyo, with Hiroshi Mikitani, Chairman) is proud to announce the appointment of Maestro Andrea Battistoni as Chief Conductor, effective from today, October 1, 2016. Maestro Battistoni’s first engagement with the Tokyo Philharmonic was also in 2012, performing a Nikikai production of Verdi’s “Nabucco.” Our relationship deepened rapidly, as did the breadth of repertoire. Among many great performances, highlights include Respighi’s “Roman Trilogy,” which also became an award-winning CD recording; Mahler’s Symphony No. 1; Gershwin's "Rhapsody in Blue"; and Dvorak's "From the New World." These and more inspired collaborations led to our naming Maestro Battistoni Principal Guest Conductor in April, 2015, which we celebrated with a concert-style performance of Puccini's "Turandot" and Mussorgsky's "Pictures at an Exhibition," both released on CD. 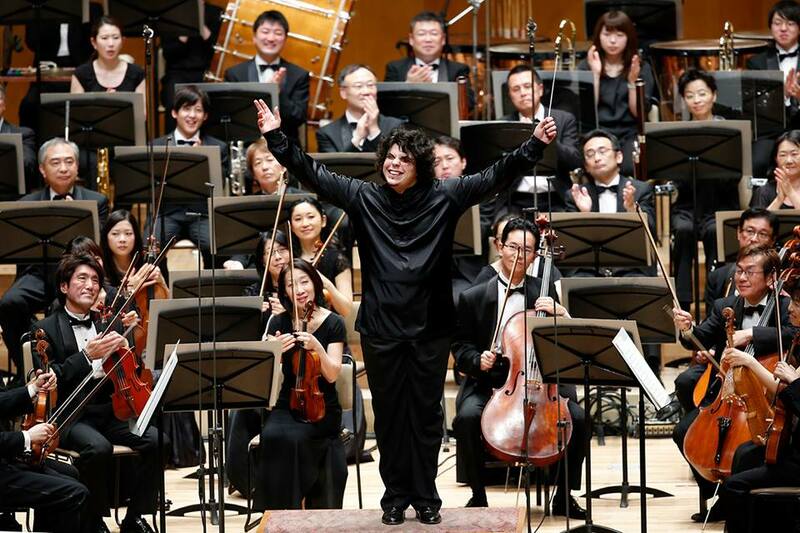 The Tokyo Philharmonic Orchestra has been able to count on such inspired performances since our first engagement with him, and our audiences always anticipate his explosive energy and deep intellect with great enthusiasm. His ideas for our future engagements and his passion for each piece we work on together flow freely and very compellingly, always with great results, and it is in this spirit that he has become the Tokyo Philharmonic Orchestra’s Chief Conductor. Together with our new Chief Conductor, Maestro Andrea Battistoni, we extend our deepest gratitude to our audiences in Japan and around the world, who are our ultimate inspiration in making great music. Please join us in looking forward to many more wonders of music with TPO and Maestro Andrea Battistoni.